We have worked with Dynamic Team Solutions on several different engagements and achieved great results. We value the ease with which Dynamic Team Solutions has been able to help us transform the way our leaders work together. As a result of the partnership, our leadership team has grown more cohesive and is better able to meet everyday business challenges. "The work you did with my team was so worth it. The staff took it to heart and made real changes. Until we met with you I felt I needed to run interference. Now the team works so well together—communication is better, and the results speak for themselves. We are now where we needed to be, which is in a very good place. It’s been life-changing for our entire team." D. Washington, V.P. of Operations, FilmL.A., Inc.
"I just wanted to thank you for continuing to speak at the HR star conference. I’ve been going for about 6 years and almost every year I’ve attended your session. Each year your content is fresh, engaging, relevant and you inspire me every time." "The value Candice has provided (and continues to provide) is significant. In our specific instance, we have been able to retain a valuable (albeit challenging) employee. Candice is able to quickly drill down to the root of an issue and, as quickly, offer suggested courses of action that are effective." "I have hired Candice on more than one occasion as both a Mediator and a Coach. She is one of the most intuitive people I've worked with and I have trusted her with some of our most confidential and sensitive business issues. I wouldn't hesitate to use her in the future and consider her a trusted advisor." "Candice has done a fantastic job delivering mediating tools to our members at PIHRA, district one. Her practical and thoughtful approach to positively managing the most dynamic element of all - the human, resulted in very positive feedback from our members. It's a pleasure to work with such a genuine, professional who brings a measurable benefit to organizations and individuals!" "Candice is both artful and skillful at the mediation of conflict and I am happy to highly recommend her services"
"Candice can take credit for our improved communication and collaboration at my Company. She was able to discern the issues that prevented us from working effectively and communicated in a way that solicited everyone’s willing cooperation. Our management team was very impressed by her approach." C. McRae, Director Human Resources, FilmL.A., Inc.
"Although the mediation process was at times challenging, Candice was able to keep me grounded throughout the entire process. I truly appreciated her ability to understand my point of view and communicate this in a way that others could comprehend. The mediation has been a success for myself and co-workers and our work environment has significantly improved." "Candice is a very skilled mediator with a high degree of integrity and ethics.."
"Mediation is an art not a science and Candice is a true artist. She understands the issues and psychology involved in mediating disputes and does so quite patiently with great results. I highly recommend Candice to anyone, whether it be a formal legal action or merely a dispute between neighbors or business partners." "I am profoundly pleased with the results of a mediation conducted by Candice. My two employees have crafted not only a plan to get along better, but to collaboratively work and plan an exciting new venture together. In the future, when issues of workplace conflict arise, I intend to call Candice. She offers an invaluable service that I highly recommend to others.."
"Candice knows how to keep the audience's attention and interest. She perfectly knows her subject, can illustrate it, relate it to the audience. Her suggestions are comprehensive, easy to understand and applicable. She knows how to bring a delicate zest of humor to the topic to make it more appealing." "Candice was the perfect choice for conflict resolution in our family owned business." "Candice has provided a venue for the resolution of conflict, misunderstandings, or concerns among our families. She has provided this service with respect, dignity, and professionalism." We are passionate about increasing the effectiveness, cohesion and functionality of teams, leaders, and organizations. Our value-driven approach to providing each client with the solutions to help them thrive, is what makes our clients loyal and our partnerships strong. Candice Gottlieb-Clark has built two decades of expertise in helping executives, teams and organizations raise the level of their business functionality, teamwork, and productivity. 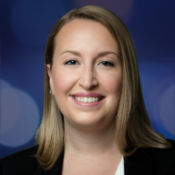 Recognizing that businesses need external support in order to maintain trust and objectivity, enhance insight, and provide guidance to their teams and leaders, Candice founded Dynamic Team Solutions. As a Los Angeles based executive and leadership coach, speaker, trainer, and workplace conflict resolution specialist, Candice provides a comprehensive range of services, all designed to elevate individuals and organizations to new heights of success. Throughout her career, Candice has successfully worked hand-in-hand with public and private companies, not-for-profits, and governmental agencies coast-to-coast to help them achieve new milestones. 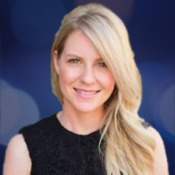 With experience in industries including entertainment, education, medical, legal, real estate, construction, financial, retail, manufacturing, and professional services; Candice has found her true expertise is in handling the one thing that all industries share – people. 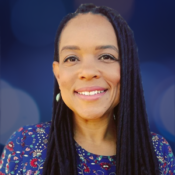 A former adjunct professor for San Diego State University and North Texas University, Candice holds a Master’s Degree in Counseling from San Diego State University, and a Bachelor’s Degree in Psychology from the University of California, Santa Barbara. 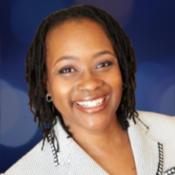 Candice is also a Board Certified Executive Coach (#1510). Candice is a sought-after speaker and trainer on topics of communication, leadership, teamwork, organizational culture, and conflict management at local and national conferences. 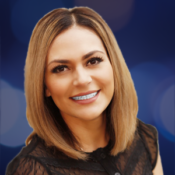 She has been published in numerous business and professional journals, and has been honored by the San Fernando Valley Business Journal as a “Top Human Resource Professional” for her work with Los Angeles area businesses. To subscribe to Candice’s newsletter and blog, click here. Paulina joins our team as an innovative Operations Manager experienced in analyzing and improving business processes to enhance productivity and achieve quality results. Focused on ensuring client success through collaboration, Paulina engages with clients to identify the right consultant and the best strategy for reaching their goals. She actively supports fluid channels of communication between clients and consultants and ensures all programs are managed in a timely and attentive manner. Paulina holds a Master’s degree from Boston University & is currently an MBA Candidate at the University of Massachusetts, Amherst. Hilary is a leadership development and dispute resolution professional. Skilled in facilitating groups, mediating conflict, and working with individual leaders and full teams, Hilary brings her insightful, practical, and results-oriented approach to addressing complex organizational challenges. She has worked with clients in a variety of industries including manufacturing, oil and gas, aerospace, financial services, and biotech. Hilary holds a Master of Public Administration, is a certified Senior Professional of Human Resources (SPHR) and a Myers-Briggs Type Indicator practitioner. Hilary will complete a Master of Dispute Resolution from Pepperdine School of Law Summer 2018. Janelle is a change management and strategic communications specialist. She brings an insightful, practical and results-oriented approach to addressing complex challenges and help companies navigate organizational and culture transformations. Janelle has worked with clients in a variety of industries including healthcare, energy, and other public and government agencies including the Department of Defense and Federal Aviation Association. Janelle holds an MS in Positive Organization Development and Change, as well as professional certifications in Appreciative Inquiry and Prosci® Change Management. 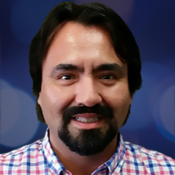 Ernesto is a certified executive coach, communications expert, critical thinker, and expert facilitator. He has a proven track-record in leveraging the strengths and assets of his clients to help them become “unstuck” and build forward momentum. His philosophy is that “hope” is a strategy – not just something you wish for – but something you actively plan and execute to make happen. Ernesto’s clients include executives in nonprofit, education, health, and philanthropy, as well as advocates for equity and justice. Ernesto holds a degree in Political Science and a Juris Doctorate. He completed his coaching certification through the International Coaching Federation. Rachael is a professional trainer and corporate facilitation leader. She thrives in partnering with corporations to help them turn front line employees into exceptional leaders, and exceptional leaders into trail blazers. Rachael brings her insight and awareness to organizational leaders in the areas of Situational Leadership and Management, Company Culture and Employee Engagement. 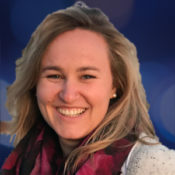 Rachael’s expertise as an organizational and development specialist is derived from her work in multiple industries in both the private and not-for-profit sectors. Lauren is an expert mediator and facilitator specializing in transformative conflict resolution. Lauren recognizes the importance of resolving beyond the crisis and works with both individuals and teams to rebuild and restore healthy workplace relations. Clients value her skill, compassion, and strong intuitive understanding of individual needs and motivators. She is a highly sought-after specialist for addressing both crisis and chronic areas of conflict. Lauren holds a Master’s Degree in Public Policy and Dispute Resolution. 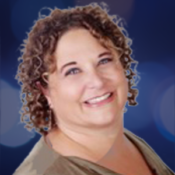 Margalit is a certified executive coach, organization development expert, and corporate trainer. She has served as a trusted business advisor for multiple companies in both the private and not-for-profit sectors. With her passion for helping clients maximize their performance, Margalit integrates solution-oriented strategies while introducing the value of self-care and a healthy work-life balance. As a coach and team development expert, Margalit provides organizations with the tools they need to thrive. 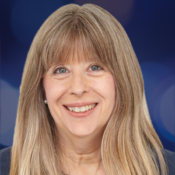 With over 10 years of experience, Margalit has led hundreds of workshops to assist teams in creating greater productivity, well-being, confidence, and the ability to overcome the many obstacles that limit success. Prior to her current role, Margalit founded and expanded two successful digital design companies serving a variety of clients including Hilton Hotels, The Walt Disney Company and Warner Brothers Studios. Margalit has worked with clients in a variety of industries including Education, Media & Technology and Government agencies. 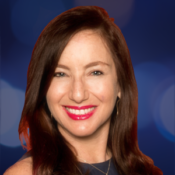 Margalit is a graduate of the University of Santa Monica Master’s level program in Counseling Psychology and has completed her coaching certification from the Institute for Professional Excellence. Margalit is also the Co-Founder of Professional Women’s Network LA and is a contributor for the Huffington Post and Thrive Global. Gena is a board certified executive coach, corporate trainer, organization development consultant and national speaker. 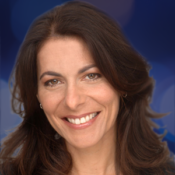 Her expertise is developed in the behavioral and social sciences and she enjoys working with clients in the areas of emotional intelligence, appreciative inquiry, mindfulness, positive psychology, and NLP. Gena has worked with clients in a variety of industries including entertainment, financial services, non-profit and other public and government agencies to name a few. Gena holds a BA in Communication Arts & Sciences from USC, and an MBA in Marketing from University of Phoenix and is currently a doctoral candidate in Organization Development at the California School for Professional Psychology (CSPP). Isabelle’s passion is to support people in reaching their full potential. She is an organization development practitioner focusing on mindfulness, motivation, coaching, team alignment, leadership development and culture change. Where people, process and performance come together, you will find Isabelle ready to build resilient organizations. With education and experience that began in the world of Human Resources, Isabelle stands out as both a coach and organizational consultant. She brings with her a clear understanding of the issues impacting employee engagement and organizational success, as well as strategies for creating a collaborative workforce. Isabelle brings this same focus to her work as a trainer. She excels in crafting programs that are experiential and engaging, and which transform the ways people work. Isabelle’s calm, insightful approach engages clients, building their awareness and readiness for change. Isabelle has international experience working with clients in industries including healthcare, education, engineering, and biotechnology. Her travel and work experience extend to locations including Canada, Turkey, China, and France. Isabelle holds a Master of Science in Organization Development from the Graziadio School of Business and Management at Pepperdine University. 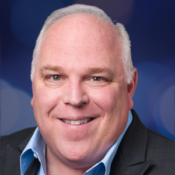 Eric Swenson of RSJ Swenson, LLC, is a corporate workforce strategist who focuses on the “Big Picture”. Helping organizations determine where they are and where they want to be, Eric constructs organizational plans geared toward helping them get there. Eric holds degrees in English and Communication and is the author of two books Managing People in the 21st Century and The 5 A’s of Great Employees. Belinda Morris of PeopleScape HR compliments and expands Dynamic Team Solutions’ services by providing expertise in the HR support, recruitment, and sexual harassment training. Belinda is further a certified administrator of the Harrison Assessment. Belinda is SPHR and SHRM-SCP certified and holds degrees in Psychology, Sociology, Business Administration, and Human Resources. 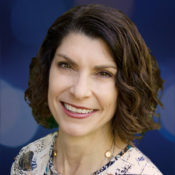 Eve Wagner, an employment attorney, mediator, and arbitrator, collaborates with Dynamic Team Solutions in providing conflict management planning tools to proactively address issues of workplace conflict, while helping to prevent unwanted turnover and costly litigation. Eve is a founding partner of Sauer & Wagner LLP, established in 1997. Eve currently serves as Chair of the Labor & Employment Section of the Beverly Hills Bar Association. Over the years we’ve had the pleasure of working with numerous companies.